Happy Fourth of July Weekend Steeler Nation! 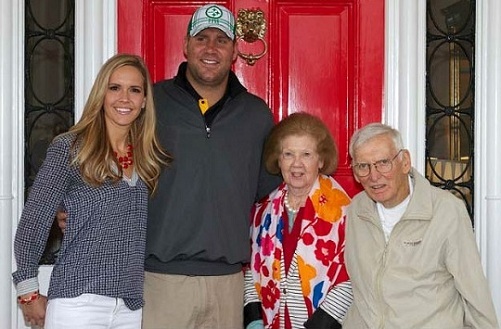 Ben, Ashley and Mr. & Mrs. Rooney pose in front of the Ambassador’s residence this afternoon. 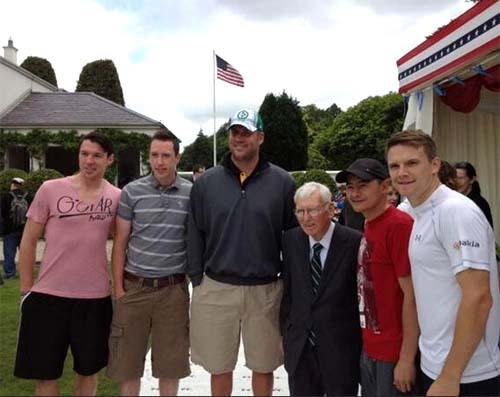 Big Ben and Ambassador Rooney pose with Dublin Footballers Eamon Fennell, Barry Cahill, Jason Sherlock and Tomás Quinn this morning at the Ambassador’s house prior to the game. 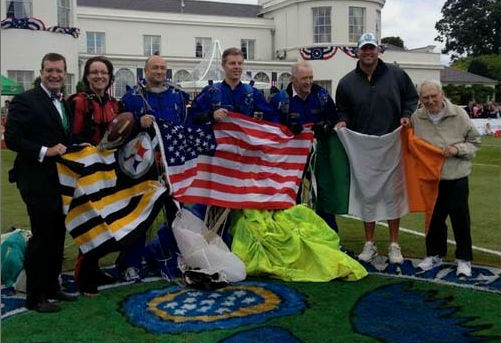 Ben and Mr. Rooney pose with the parachuters who delivered the Steelers flag as well as the U.S. and Irish flags before kickoff. *Thank you to Eamon and once again to Mr. Lauten, Steelers.